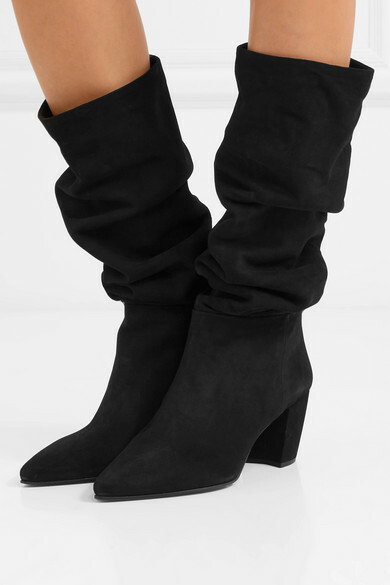 We predict you'll want to wear this fall's slouchy boots with everything in your wardrobe, so make sure you get a pair that's extra comfy and versatile. 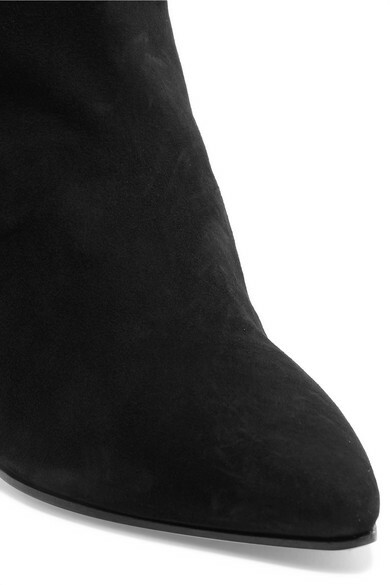 Prada's pair is made from the softest black suede, and set on a manageable banana-shaped heel. 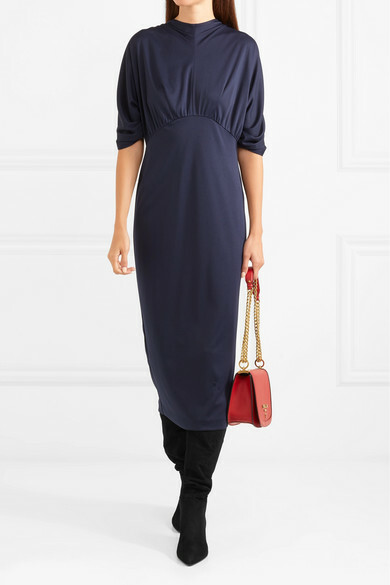 Wear yours with midi hemlines that extend slightly over the collar.